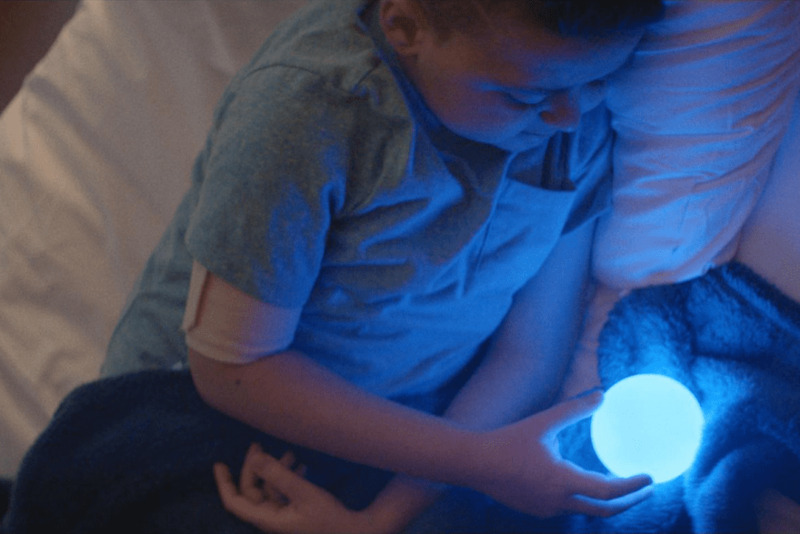 Via Core77 (and thanks Joshua), a luminous “ambient information” concept called Blink consists of two glowing orbs that are touch- and motion-sensitive, color-changing, and equipped with 3G for seamless operation. The project was developed in this case for sick children to keep in touch with family members or friends during a hospital stay. A nice concept and great design process between Razorfish and the Ronald McDonald House. It reminds me very much of similar concepts we did at the MIT Media Lab back in 2001, plus a start up called Ambient Devices that has struggled to launch similar concepts.